I’ve been researching the causes of problems with projects for years. Over 94% of the problems can be traced back to just a few causes. It sounds reasonable that the project management software you use, should be designed to handle these challenges. Don’t you think so? The tragedy is that most project managers use tools that are not capable to deal with these challenges properly. Of course, just good planning software is not enough to complete your project successfully. Just like just a good camera will not make the world press photo. But not having proper planning software is enough to fail your project completely. These 10 features are must haves for every project managers. To better complete your projects and to stay on top of challenges. To start with, your project planning software must help to keep an overview of all the products of your project. Projects are complex. Many people are involved. You need a Gannt chart to align all the work. Over 94% of all problems with projects can be traced back to people who didn’t have enough time to get their work done. Or weren’t available. To prevent this for your projects, you must be able to tell how many people you need and when. Your planning software must be able to assign people as well as skills to tasks and select the best persons to do the job. People might be involved in more than just one task in your project. 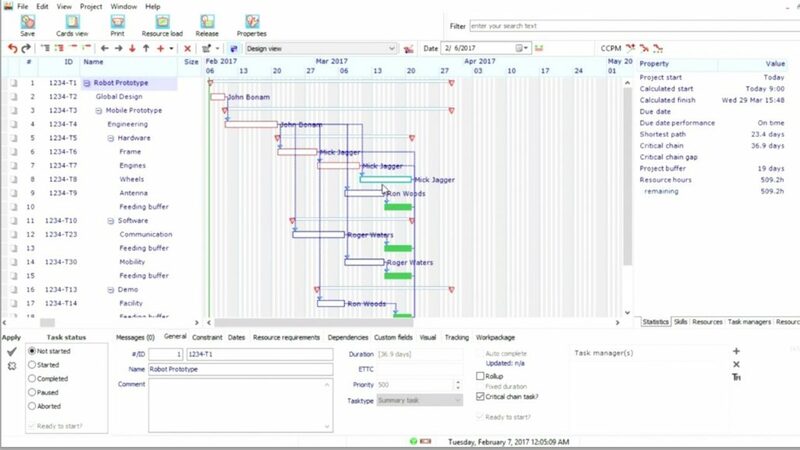 Your project planning software should prevent that multiple tasks will be assigned to the same person at the same moment. It should automatically adjust the planning. It need to support the Critical Chain. This is on top of the critical path. When your planning software doesn’t support Critical Chain, your plans will be more unrealistic and unreliable. And demand significant effort to check and update. Your people need an easy to use interface that helps them to organize their tasks for the project. And they must love to use it. A simple digital task board or scrum board is commonly used. 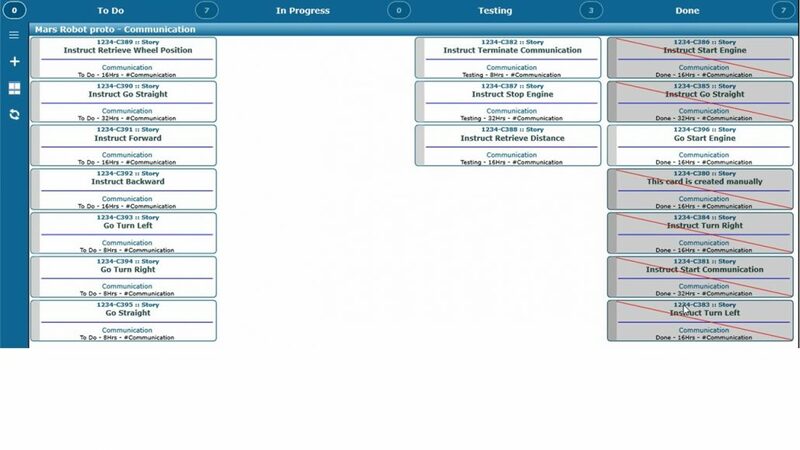 This digital task board must be integrated with your project planning software. Updates your people make on the task board will be reflected in your Gannt Chart. And the other way around. Task boards have a higher acceptance with experts and team members, than time writing. That means that using task boards will increase the reliability of your project data. The specialists and experts in your team will have a great deal of responsibility and autonomy. A detailed planning would restrict their autonomy and their ability to deal with changes and uncertainties. Leaving out these, could jeaopardize lead that you will lose control over your entire project. Work packages enable you experts to organize work packages in greater detail, than will show up in your Gannt Chart. Tasks part of work package will show up on their task board, but not you in the Gannt Chart. It will dramatically reduce the complexity of your project planning. Your planning will be more realistic and it will give you more control. Without work packages, project schedules will be much larger and much more complex. You will be more sensitive to lose overview and finally lose control. Many teams use Agile Scrum. It is one of the most important contributions to project management of the past 25 years. Planning software need to integrate easily with your Agile Scrum teams. The planning and progress of scrum teams need to be transparent for your planning software. Without Agile integration, the gap between you and your agile teams will grow and undermine collaboration. This gap will be an obstacle to exploit one of the major project success factors. But, no matter how much effort you put in creating your project schedule or Gannt chart, there will always be changes. There are many uncertainties in projects. Al those changes cause two big problems. Buffer management automatically adapt your plan so it will be reliable and predictable. Your planning software must support Critical Chain Project Management (that is always including Buffer management). This is the other major contribution to project management of the past 25 years. Collaboration is one of the most important project success factor. Your project planning software must support that. People in your team, and stakeholders, need to be able access and update project data easily. Your project planning software must support to keep track project related documents and issues. To stay in control, you must always know whether you are still in control. Bias and perception should not blur your judgement. 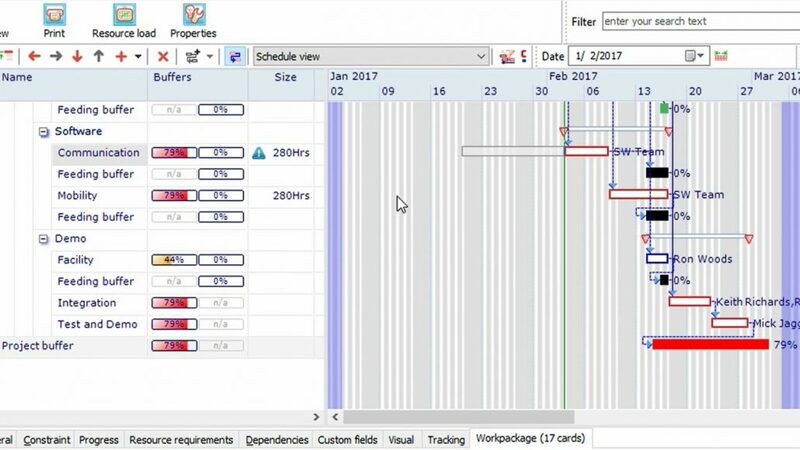 The Feverchart, one of the most powerful dashboards for projects, is standard functionality for planning software that support Critical Chain Project Management. 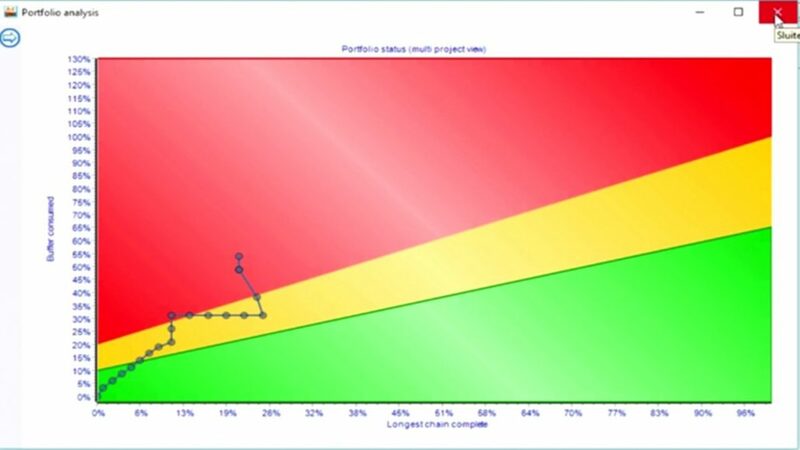 Just project planning software is not enough to better complete projects successfully or in control. Like a just a good camera will not make the world press photo. But without this functionality, you will face unnecessary challenge. Do you want to learn more about how to better complete project successfully? Join the free webinar. I reveal secrets nobody ever told you.